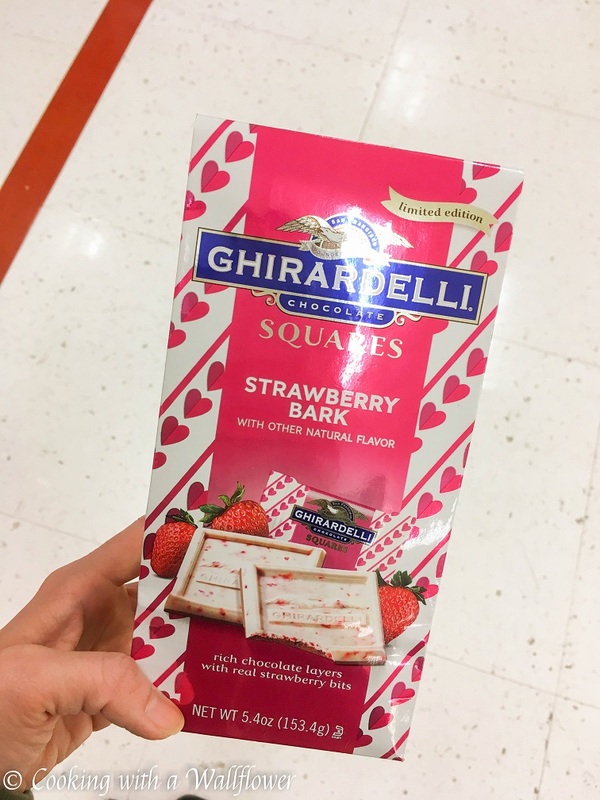 I went to Target to pick up some yogurt and came across this Ghirardelli Strawberry Bark. Me + chocolate? I seriously could not resist. Lol. Have you tried this limited edition flavor yet? Almost a year ago, I had potato pancakes while I was in Pennsylvania and fell in love with this comfort food. Seriously, I could probably eat an entire order by myself. Lol. These mashed potato cakes remind me of them and I can’t wait to give them a try. This chocolate banana bread looks soo chocolaty and moist. Omigosh. How cute are these year of the pig macarons? How delicious does this crab rangoon dip with baked wonton chips look? I’m drooling over these maple pecan pull apart bread. I absolutely love winter citruses and this ombre citrus cream tart is sooo gorgeous. This chocolate mocha cheesecake looks sooo amazing. If you’re looking for an idea for a quick weeknight dinner, these vegan singapore noodles would be perfect. It takes just 15 minutes! This instant pot crack chicken soup and this lemony garlic chicken and orzo soup look so warm and comforting and just perfect for chasing away the winter cold. I really want to make this bacon cheddar ranch pinwheels! They’d be perfect for a quick lunch. I’m obsessed with pad thai and this almond butter shrimp pad thai looks sooo delicious. This shaved brussels sprouts citrus quinoa salad is the perfect winter salad. In love with the thickness of these fudgy brownie cookies! I totally want this baked egg custard in my life. I love all sorts of noodles so this Asian noodle salad is exactly what I’m looking for. I’m a fan of kimchi so this loaded vegan kimchi fries sound soooo good to me. I’m going to need this herby chicken soup with orzo to keep me warm this winter. This artichoke pesto and burrata pizza with lemony arugula sounds soo fresh. You had me at the mashed potato cakes. Thanks. Something I’m always ready for, especially here in the depths of a bitter, cold southern California winter. Now I want to visit Target and see if I can find some Ghirardelli Strawberry Bark.